"If the ingredients of the offence alleged against the accused are prima facie made out in the complaint, the criminal proceeding shall not be interdicted." The Supreme Court has observed that criminal complaints cannot be quashed only on the ground that the allegations made therein appear to be of a civil nature. 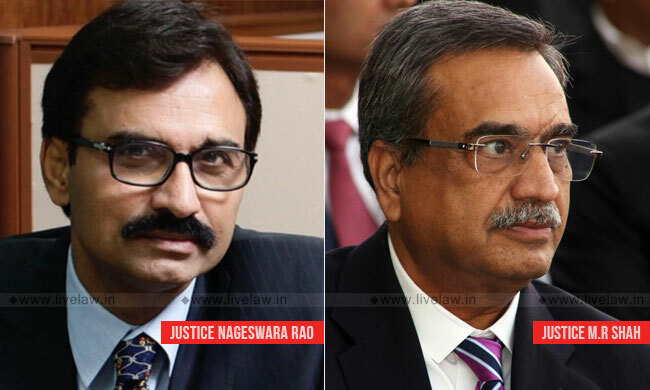 The bench comprising Justice L. Nageswara Rao and Justice MR Shah said that, if the ingredients of the offence alleged against the accused are prima facie made out in the complaint, the criminal proceeding shall not be interdicted by invoking powers under Section 482 of the Code of Criminal Procedure. In the complaint, the complainant had accused the developers of forgery and preparing false documents on the basis of which a development agreement came into existence. The Magistrate sent the complaint for investigation under Section 156 (3) of the Code. The police submitted a report stating that the matter appeared to be of a civil nature. The Trial Court issued summons to the accused. Later, the High Court quashed the order issuing summons, holding that the dispute is of a civil nature, and criminal proceedings against the accused would be an abuse of the process of law. "Defences that may be available, or facts/aspects which when established during the trial, may lead to acquittal, are not grounds for quashing the complaint at the threshold. At that stage, the only question relevant is whether the averments in the complaint spell out the ingredients of a criminal offence or not." "A perusal of the complaint discloses that prima facie, offences that are alleged against the Respondents. The correctness or otherwise of the said allegations has to be decided only in the Trial. At the initial stage of issuance of process it is not open to the Courts to stifle the proceedings by entering into the merits of the contentions made on behalf of the accused. Criminal complaints cannot be quashed only on the ground that the allegations made therein appear to be of a civil nature. If the ingredients of the offence alleged against the accused are prima facie made out in the complaint, the criminal proceeding shall not be interdicted."